Nebraska, a western state of the American Union, the 24th admitted under the constitution, lying between lat. 40° and 43° N., and lon. 95° 25' and 104° W. from Greenwich. It is bounded N. by Dakota, E. by Iowa and Missouri, from which it is separated by the Missouri river, S. by Kansas and Colorado, and W. by Colorado and Wyoming; area, 75,995 sq. m. The width from N. to S. is about 210 m., and the length in the central part about 420 m. The state is divided into 65 counties (the N. W. portion being unorganized), viz. : Adams, Antelope, Boone, Buffalo, Burt, Butler, Cass, Cedar, Chase, Cheyenne, Clay, Colfax, Cuming, Dakota, Dawson, Dixon, Dodge, Hondas. Dundy, Fillmore, Franklin, Frontier, Furnas Gage, Garber, Gosher Greeley, Hall, Hamilton, Harlan, Hitchcock, Holt, Howard, Jefferson, Johnson, Kearney, Keith, Knox, Lancaster, Lincoln, Madison. Merrick Nemaha, Nuckolls, Otoe, Pawnee, Pierce, Phelps, Platte, Polk Red Willow, Richardson, Saline, Sarpy, Saunders. Seward, Sherman, Stanton, Thayer, Valley, Washington, Wayne, Webster, York. The capital is Lincoln, in the S. E. part of the state, which in 1870 had 2,441 inhabitants, and in 1874 about 6,500. Omaha, on the E. border, is the chief city, having 20,000 inhabitants in 1874; next in importance is Nebraska City, containing 6,050 inhabitants in 1870. The total population of Nebraska (exclusive of Indians not taxed) in 1860 was 28,841, and in 1870, 122,993, including 122,117 white, 789 colored, and 87 Indians; 70,425 males and 52.568 females; 92,245 of native and 30,748 of foreign birth. Of those of native birth, 18,530 were born in the state, 9,655 in Illinois, 6,040 in Indiana, 7,611 in Iowa, 4,634 in Missouri, 9,246, in New York, 10,729 in Ohio, and 6,991 in Pennsylvania. Of the foreigners, 10,954 were natives of (let-many, 2,635 of Brit-ish America, 3,603 of England, 4,1)99 of Ire-land. and 2,352 of Sweden. The density of population was 1.62 to a square mile, In 1874 the total population was returned at 223,657, the large increase since 1870 being mainly due to the construction of railroads. In 1870 the number of male citizens 21 years old and upward was 36,169. There were in the state 34,524 person, between the aires of 5 and 18 years; the total number attending school was 17,956; 2,365, persons 10 wars of age and over were unable to read, and 4,681 could not write, The number of illiterates 21 rears old and over was 2.12o, of whom 1,169 were females. There were 22 blind, 55 deaf and dumb, 28 insane and 25 idiotic. Of the total population 10 years old and over (88,265), there were engaged in all "occupations 43,837; in agriculture, 23115 of whom 5,899 were laborers and 17,037 fanners and planters; in professional and personal services, 10,331, including 183 clergymen, 4,940 laborers not specified, 204 lawyers, 247 physicians and surgeons, and 316 teachers not specified; in trade and transportation, 4,628; and in manufactures and mechanical and mining industries, 5,763. The total number of deaths in 1870 was 1,000, being 0.81 per cent, of the population. The number of deaths from consumption was 87, being one to 11.5 deaths from all causes; from pneumonia 88, being one to 11.4 from all causes; from whooping cough 37, from measles 41, from scarlet fever 90, and from enteric fever 52. In 1873 there were 6,579 Indians in Nebraska, on reservations comprising 892,800 acres. In the N. W. part of the state were 917 Santee Sioux, occupying 83,200 acres; in the central, 2,000 Pawnees on 288,000 acres; in the N. E., 1,522 Winnebagoes on 128,-000 acres, and 1,001 Omahas on 345,600 acres: in the S. E., 221 Iowas and 95 Sacs and Foxes of Missouri, on 32,000 acres; and in the S., 447 Otoes and Missouris, on a reservation of 16,000 acres. Schools are maintained among these tribes, and other efforts are made by the general government to civilize them. - The general surface of Nebraska approximates to a vast plain, rising gradually from the Missouri toward the mountains. The bottoms are level; the prairies, of which the surface mostly consists, are either gently undulating or broken into low hills and ridges. There are few hills of magnitude, and no mountains except at the west and northwest, where the land rises into the Black Hills and Rocky mountains. No large lakes have been discovered, but lakelets, rivers, and streams are numerous. The only navigable river, however, is the Missouri, which forms the N. E. and E. boundary line. Entering the state near the N. W. corner, and flowing E., is the Niobrara, which, after forming a portion of the X. boundary, empties into the Missouri near the N. E. corner of the state. The Keya Paha, a tributary of the Niobrara, also forms the boundary line for a short distance on the north. The principal river is the Platte, which, rising in the Rocky mountains in Colorado, flows E. through the central portion of the state, and empties into the Missouri. It is wide, rapid, and shallow, and passes through a valley which is remarkable for its fertility, and which for 200 m. W. from Omaha is from 8 to 10 m. wide. The Platte has numerous tributaries on the north, the chief of which are Wood river, Loup fork, and Elkhorn river. It has no important tributary from the south, but that portion of the state is well watered by streams flowing into Kansas, the chief being the Republican, Little Blue, West Blue, and Big Blue rivers. The Great Nemaha and Little Nemaha are small rivers in the S. E. part of the state, flowing into the Missouri. - Excepting that made in 1867 under the direction of the United States geologist, Dr. F. V. Hayden, there has been no geological survey of Nebraska. But four of the principal geological formations are represented in the state, carboniferous, Permian, cretaceous, and tertiary. Of the carboniferous strata only the upper members occur, and these are overlaid, from the longitude of Lincoln west, by the Permian, cretaceous, and tertiary deposits. Minerals have not yet been found to any considerable extent. Thin beds of bituminous and block coal exist in the S. E. counties, and of lignite in the cretaceous and tertiary. The scarcity of coal renders more valuable the extensive beds of peat found in some parts of the state. Some iron ores occur, but the coal yet found is not sufficient to utilize them. Stone for building purposes is found, including limestone, dark yellowish gray sandstone, and a dark red freestone. Clay for the manufacture of brick is easily obtained, and good potter's clay is abundant. In the S. E. portion of the state are extensive saline deposits. The principal basin is in Lancaster co. near Lincoln, and embraces an area of 12 by 25 m.
These springs contain by weight 29 per cent, of remarkably pure salt. The salt is obtained by solar evaporation, which is facilitated by the marked dryness of the atmosphere. Alum has also been discovered. - The eastern portion of Nebraska is a rich agricultural region, while the western half is well adapted to grazing. The line of division is about lon. 99° W., although there is a large amount of fine agricultural lands W. of this line, and some grazing lands E. of it. The agricultural region embraces about 30,000 sq. m., extending about 150 m. W. of the Missouri, and in the valley of the Platte about 300 m. It is divided into bottom and prairie lands. The soil of the latter is a rich, black vegetable mould from 2 to 5 ft. deep, slightly impregnated with lime, and withstands great extremes of drought. The bottom lands along the river banks have a rich alluvial soil. 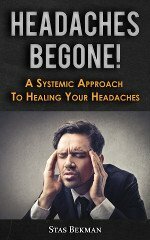 Wheat, corn, barley, oats, sorghum, flax, hemp, and all vegetables flourish, and below lat. 42° sweet potatoes are easily cultivated. Wild plums and grapes are found in great abundance, while raspberries, strawberries, gooseberries, cherries, and other small fruits are common. Tobacco also finds a congenial soil and climate. Apples, plums, and pears are cultivated, and peaches succeed S. of the Platte river. The wild grasses, of which Dr. Aughey has classified 150 species, grow luxuriantly upon the bottom and table lands, yielding from one and a half to three tons per acre; many are exceedingly nutritious, and admirably adapted to the raising of sheep and cattle. Cultivated grasses, as the blue grass of Kentucky and timothy, are raised with great success. Large numbers of cattle are brought from Texas and Kansas to be fattened on the grasses of Nebraska, preparatory to sale. The grazing region comprises about 23,000,000 acres, and is generally well watered. Wood is of free natural growth only on the bluffs and river banks, but the species are numerous. Cottonwood is the most common; oak, elm, maple, black walnut, cedar, hickory, and hackberry are also found. Planted timber grows rapidly on the prairie. Forests of pine are reported to exist in the N. W. part of the state. - The climate is dry and exhilarating; the mean temperature in winter is about 22°, and in summer about 70°. The heat of the summer is tempered by the prairie winds, and the nights are generally cool. According to the observations made by the United States signal service at Omaha (lat. 41° 16', lon. 96°), the annual mean as indicated by the barometer was 29.9 inches; thermometer, 48.1°; total fall of rain, including snow, 34.8 inches; prevailing-wind, southeast. The greatest amount of rain falls in May and June. Of the total area of the state (48,636,800 acres), 29,651,220 acres had been surveyed up to June 30, 1873. The number of acres of improved farm land in 1870 was 647,031; number of farms, 12,301, of which 787 embraced less than 10 acres each, 1,541 from 10 to 20, 5,096 from 20 to 50, 3,379 from 50 to 100, 1,487 from 100 to 500, and 11 from 500 to 1,000; cash value of farms, $30,-242,186; of farming implements and machinery, $1,549,716; wages paid during the year, including the value of board, $882,478; estimated value of all farm productions, including betterments and additions to stock, $8,604,742; value of orchard products, $9,932; of produce of market gardens, $30,649; of forest products, $36,307; of home manufactures, $36,951; of animals slaughtered or sold for slaughter, $854,-850; of live stock, $6,551,185. The productions were 2,109,321 bushels of spring and 15,765 of winter wheat, 13,532 of rye, 4,736,-710 of Indian corn, 1,477,562 of oats, 216,481 of barley, 3,471 of buckwheat, 3,332 of peas and beans, 739,984 of Irish potatoes, 762 of sweet potatoes, 133 of grass seed, 404 of flaxseed, 5,988 lbs. of tobacco, 74,655 of wool, 1,539,535 of butter, 46,142 of cheese, 100 of hops, 24 of flax, 10 of maple sugar, 707 of wax, 28,114 of honey, 77,598 gallons of sorghum molasses, 470 of wine, 95,059 of milk sold, and 169,354 tons of hay. The constitution of 1866 limits the number of senators to 13 and of representatives to 39 until 1876. when the number may be increased by the legislature, but not beyond 25 senators and 75 representatives. Senators and representatives are elected biennially on the second Tuesday of October in even years, and hold office for two years from the first of January ensuing. The legislature meets biennially on the Thursday after the first Monday in January, odd years. Each member receives $3 for each day's attendance during the session, and 10 cents for every mile of travel in going to and from the capital. Compensation is not allowed for more than 40 days at any one session. The executive department comprises a governor, secretary of state, auditor, and treasurer, who are chosen at the same time as members of the legislature and hold their offices for two years, except the auditor, whose term is four years. The constitution fixes the annual salary of the governor at $1,000; secretary of state, $600; auditor, &600; treasurer, $400. The judicial power is vested in a supreme court and district, probate, and justices' courts. The supreme court comprises a chief and two associate justices, who are elected by the people for six years, and receive an annual salary of $2,000each. All other judicial officers are paid tor their services, the fees being prescribed by law Two terms of the supreme court are held each year in Lincoln. The state is divided into three judical districts, in which the courts are held by the justices of the supreme court. Each county has a probate court, which, besides the ordinary duties of such tribunals, has jurisdiction in civil actions where the amount does not exceed $500. Probate judges and justices of the peace are elected by the people. The property owned by a woman at her marriage, and any property which she may subsequently acquire, except from her husband, is free from the husband's control and not subject to his debts. A married woman may convey her separate estate, make contracts, carry on a trade or business, and sue and be sued, in the same manner as an unmarried woman. The grounds of divorce are: adultery, impotence, sentence to imprisonment for three years or more, desertion for two years, habitual drunkenness, extreme cruelty, and consent obtained by force or fraud. The total valuation of the state, as reported by the state board of equalization, was $55,549,868 in 1871, $69,873,818 in 1872, $78,419,480 in 1873, and $81,218,813 in 1874. In the last year the lands held by private owners and subject to taxation amounted to 11,000,579 acres, the assessed value being $43,004,800; town lots, $9,941,809; money used in merchandise, $2,-448,235; in manufactures, $522,410; stocks and shares, $979,455; moneys and credits, $1,578,-329; household furniture, $343,762. There were 87,449 horses, valued at $3,906,778; 229,-469 neat cattle, $2,973,221; 7,615 mules and asses, $417,911; 30,329 sheep, $42,556; and 233,652 swine, $367,576. The railroad property was valued at $11,183,114, and telegraph property at $61,555. The taxes levied for 1874 amounted to $502,933 78, being 6¼ mills on the dollar, viz. : for the general fund, $200,-995 77, 2½ mills; sinking fund, $79,864 77, 1 mill; school fund, $161,507 89, 2 mills; penitentiary fund, $40,376 94, ½ mill; and university fund, $20,188 41, ¼ mill. The property of corporations is taxed in the same manner as that of individuals. The institutions supported by the state are the institute for the deaf and dumb opened at Omaha in 1869, the asylum for the insane opened at Lincoln in 1871, and the penitentiary, which is also at Lincoln. In 1875 an act was passed to establish an asylum for the blind at Nebraska City. - The school lands of Nebraska comprise about 2,700,000 acres, which, if sold at the minimum price ($7 per acre), would give a permanent school fund of $18,900,000. The schools are supported by the proceeds arising from the sale and lease of school lands, from a general tax of two mills, and from fines, licenses, and dog tax. The apportionment is made by the state superintendent among the counties according to the number of children between the ages of 5 and 21 years. In June, 1874, $107,764 were distributed among 72,991 children. To be entitled to a share of the state fund, districts having fewer than 75 pupils must support a school not less than three months, those having between 75 and 200 not less than six months, and those having more than 200 not less than nine months. There is no state board of education. The superintendent of public instruction is elected by the people for four years, and receives an annual salary of $2,000. County superintendents are also elected by popular vote.
" apportioned by county superintendents.. The state normal school is at Peru, having a fine brick structure 90 by 63 ft. and three stories high above the basement. The institution comprises a model school with primary, junior, and senior departments, and a normal school with a three years' course of instruction. Tuition is free. During the fall term of 1873 there were 201 pupils in the model and 60 in the normal department. The number of teachers in the latter was six. Normal institutes are also held throughout the state, but not at the public expense. The university of Nebraska, at Lincoln, constitutes a part of the educational system of the state. It owes its existence to a congressional grant of 44,800 acres of land for the support of a state university, and the donation of 90,000 acres granted by congress to Nebraska for the establishment of a state college of agriculture and the mechanic arts. By the same law of 18G9 the regents were authorized to establish a university comprising six departments or colleges: 1, a college of ancient and modern languages, mathematics, and natural science; 2, of agriculture; 3, of law; 4, of medicine; 5, of practical science, mechanics, and civil engineering; 6, of line arts. The institution was opened in the autumn of 1871. In 1872 the department of literature, science, and art was organized, with two courses of four years each, and in 1873 that of agriculture, with courses of two, three, and four years. In 1873-'4 there were 7 instructors and 100 students. Both sexes are admitted. The other leading educational institutions are Nebraska college (Protestant Episcopal), at Nebraska City, and Doane college (Congregational), at Crete. The former affords instruction in classics, mathematics, science, and business, and has also a theological department. In 1874 it had a total of 10 instructors and 88 students. Doane college had 4 instructors and 50 students. - According to the census of 1870, there were in the state 390 libraries, having 147,040 volumes, of which 219 with 95,125 volumes were private, and 171 with 51,915 volumes were other than private The whole number of newspapers and periodicals was 42, having an aggregate circulation of 31,600, and issuing annually 3,388,-500 copies. There were 7 daily, with a circu-lation of 6,850; 1 tri-weekly, 500; 30 weekly, 22,400; and 4 monthly, 1,850. In 1874 the total number had increased to 9.5, including 10 daily, 1 semi-weekly, 77 weekly, 1 semimonthly, and 6 monthly. The territory of Nebraska was formed May 30, 1 1854, embracing 351,558 sq. m., extending from lat. 40 X. to the national boundary, and from the Missouri river W. to the crest of the Rocky mountains. On Feb. 28, 1861, 16,035 sq. in. were set off to the territory of Colorado, and on March 2, 228,907 sq. m. to Dakota. At the latter date Nebraska received from Washington and Utah territories a triangular tract of 15,378 sq. m. lying on the S. W. slope of Rocky mountains N. of the 41st parallel and E. of the 110th meridian. This, however, was included in the 45,999 sq. m. taken from Nebraska March 3, 1863, to form the territory of Idaho. Nebraska was thus reduced to its sent limits. In March, 1860, the question of forming a state government was submitted to the people and disapproved by a vote of 1.877 to 1,987. 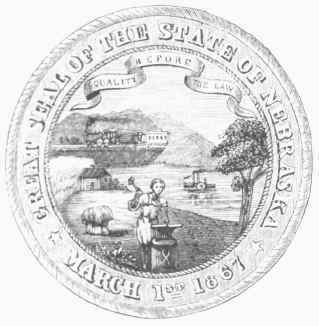 On April 19, 1864, an enabling act was passed by congress, providing for the admission of Nebraska into the Union; but the necessary action for admission was not a at that time by the territory. The continuance of the war and the prevalence of Indian hostilities checked the growth of Nebraska; but prosperity came with the return of peace. Early in 1866 the territorial legislature framed a constitution, which was ratiby the people on June 21. The first legislature under the new government assembled July 4. On the 28th a bill for the admission of Nebraska as a state was passed by congress but did not receive the signature of the president. In January, 1867, another bill for this purpose was passed, but was vetoed by presideiit on the ground that it embraced conditions not contained in the enabling act, that the proceedings attending the formation of the constitution were different from those prescribed, and that the population of the territory did not justify its becoming a state. The bill, however, was passed over the executive veto by a vote of 30 to 9 in the senate, Feb. 8, and 120 to 44 in the house on the following day. The act was not to take effect "except upon the fundamental condition that, within the state of Nebraska, there shall be no denial of the elective franchise, or of any other right, to any person by reason of race or color, except Indians not taxed; and upon the further fundamental condition that the legislature of said state, by a solemn public act, shall declare the assent of said state to the said fundamental condition." This act was ratified by the legislature, which assembled at Omaha on Feb. 20 for that purpose, and compliance with the congressional conditions was announced by proclamation of the president of the United States, March 1, 1867. Soon after Lincoln was chosen as the seat of government. On May 2, 1871, delegates were elected to a convention to frame a new state constitution. This convention was in session from June 5 to Aug. 19, and completed a constitution which was rejected by the people, Sept. 19. Another convention was ordered by the legislature of 1875.